I was working on a project and went through my links, when I found the link to the NASA 3D models again. When I was home, I powered on the good old Blender 3D and imported the MK3 spacesuit. 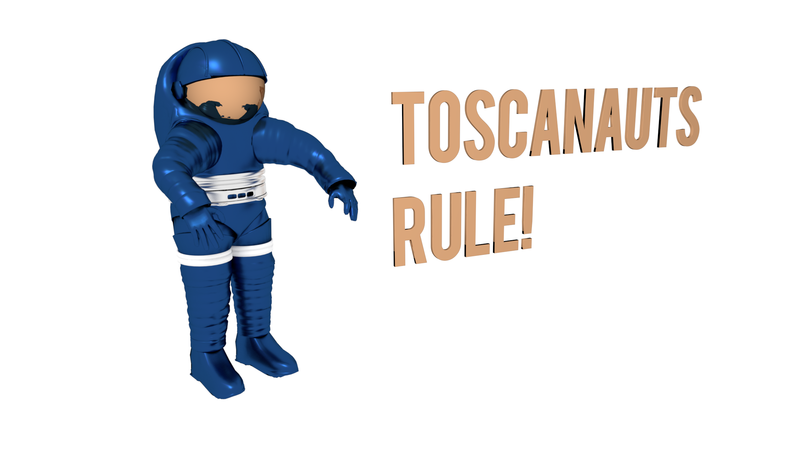 You might wonder what a Toscanaut is: This is what you call users of Tricentis Tosca Testsuite. I like the idea. And I am glad I get to work by public transport and do not have to use a rocket (or space shuttle). When I saw Sabeena’s alphabet the first time, I instantly fell in love with the forms and colors. I was wondering if I could recreate the same feeling using Blender. I tried first using only things I can find in Blender and ended up with techno-tourette. 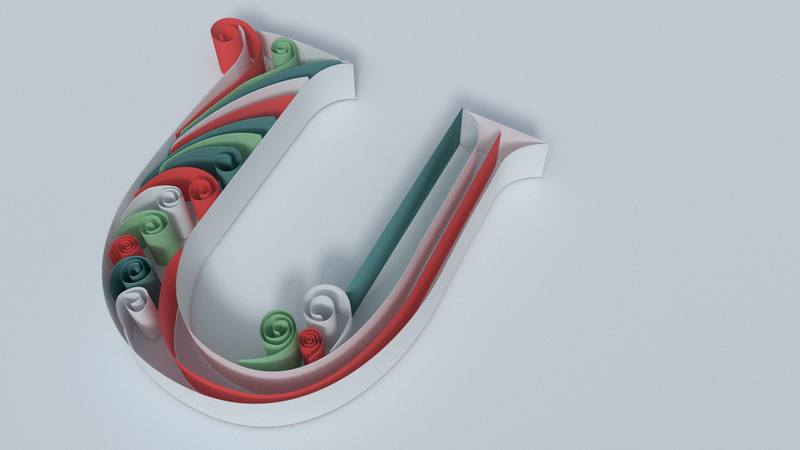 So I decided to start up my old friend inkscape and scanned some curves off the original design of the letter U. I imported the curves back into Blender and extruded them. In order to get the feeling for the paper right, I added a solidify and a subsurf modifier to the whole thing, chose some colors and there you go. 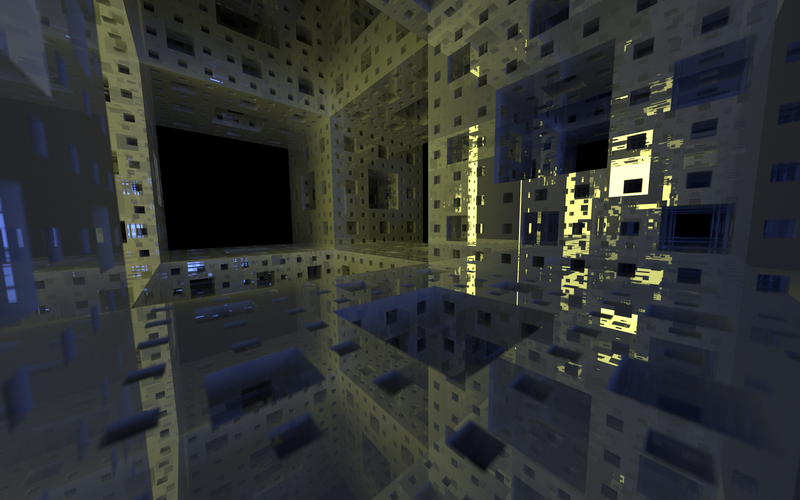 I did not use a texture, but chose a subsurf modifier in addition to the BSDF. Lesson learned: When you want to recreate complex paper foldings, it might be a good idea to use inkscape for the curves. 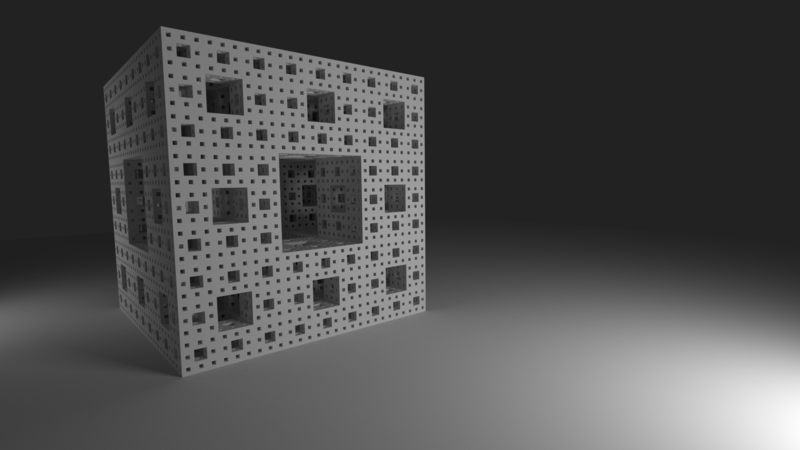 I was always very fond of the Menger sponge. 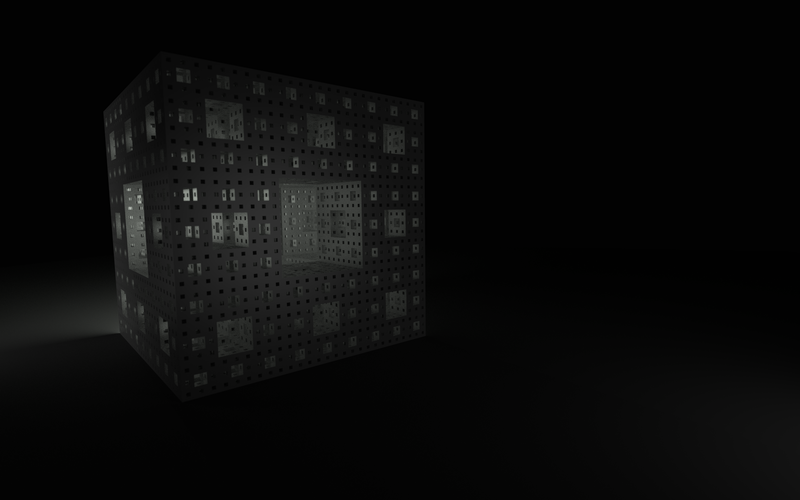 I built my level 4 sponge manually, not by using a recursive script. You can find a Python script for blender here. 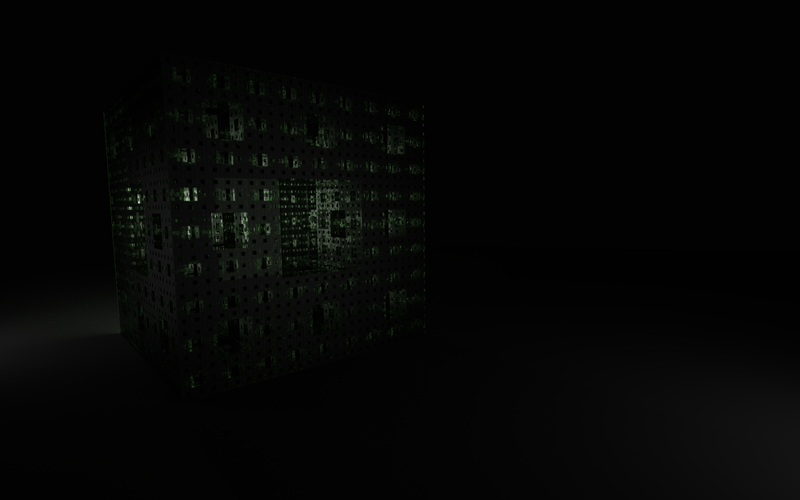 Here you will find some renders. 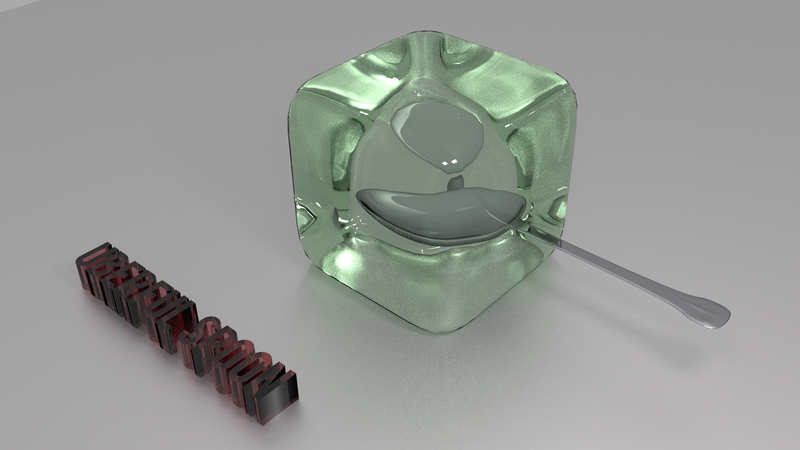 I started with a simple lighting, did some reflection afterwards and finally changed the material to glass. Finally I changed the lighting to a two colored one and moved the camera inside. You can play yourself – take the blend file from here (nearly 2,5e6 triangles, 113 MB).